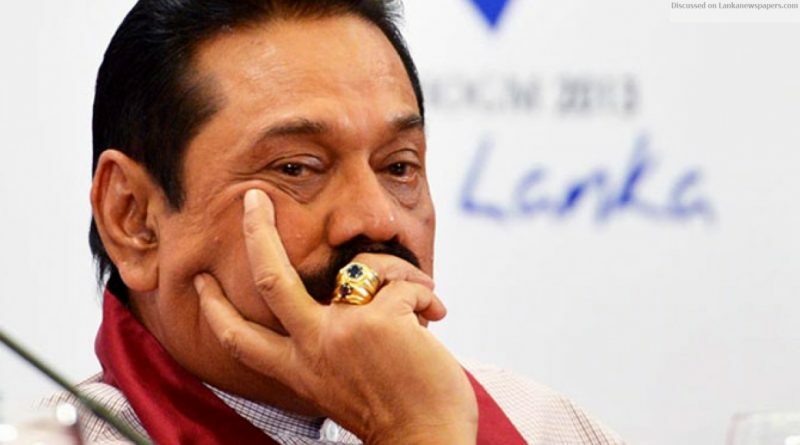 The Sri Lanka Podujana Peramuna (SLPP) yesterday asserted that if it won the next Presidential election, their candidate would ensure that former President Mahinda Rajapaksa ruled the country. “If our candidate wins at the next Presidential election, he will make sure that the former President is the one who is running the country,” SLPP General Secretary Sagara Kariyawasam told. He said that the SLPP was working on that basis, and that it was prepared to face any upcoming election. Responding to allegations made by SLPP member and former Southern Provincial Councillor Ajith Prasanna, to the effect that there was a split in the SLPP regarding whom to support as their Presidential candidate, former Defence Secretary Gotabhaya Rajapaksa or former Minister Basil Rajapaksa, the SLPP General Secretary denied any such division in the party. “There is no such division in the SLPP. We follow former President Rajapaksa, and work to bring him back to power. The party will support whoever he decides to choose as our Presidential candidate. The former President alone will be making that decision,” Kariyawasam said.